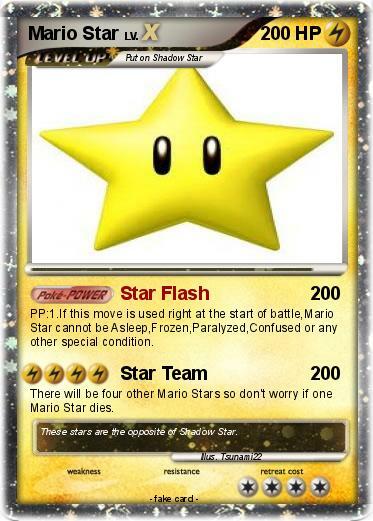 PP:1.If this move is used right at the start of battle,Mario Star cannot be Asleep,Frozen,Paralyzed,Confused or any other special condition. There will be four other Mario Stars so don't worry if one Mario Star dies. Comments : These stars are the opposite of Shadow Star.